Response: Galactose-α-1,3-galactose (α-Gal) represents an oligosaccharide that is present in mammalian products and is the causal allergen in a syndrome of delayed red meat allergy (commonly called α-Gal syndrome). 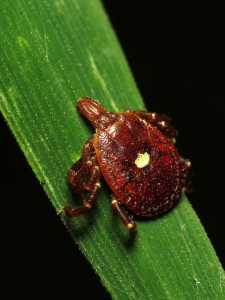 Sensitization to this allergen has been linked to tick bites, specifically the lone star tick in the United States. Thus, sensitization to α-Gal (and the prevalence of subjects with symptomatic red meat allergy) is relatively common where the lone star tick is common, i.e- the southeast. For a variety of reasons we hypothesized that specific immune sensitization (which relates to IgE antibody production) to α-Gal would be a risk factor for coronary artery disease. To address this possibility we measured IgE specific to α-Gal in 118 adults subjects from central Virginia who had undergone advanced cardiac imaging with a technique called intravascular ultrasound. Out of the cohort 26% of the subjects in the study had the sensitivity to α-Gal. The main finding was that subjects with the IgE sensitization to α-Gal had greater amounts of atherosclerosis, as well as atherosclerotic plaques with more unstable characteristics. This association was significant when controlled for traditional cardiovascular risk factors such as hypertension, diabetes and lipids levels. Response: Previous studies indicated a possible link between immunologic dysfunction and autism. The current study, based on nationally representative large-scale surveys, showed that food allergy, respiratory allergy, and skin allergy, all relevant to immunological dysfunction, were associated with autism spectrum disorder among US children.